The Educational Employees Credit Union (EECU) offers multiple branches in Fresno, California, making it a convenient alternative to traditional banks. It serves educators and those connected to the field of education. 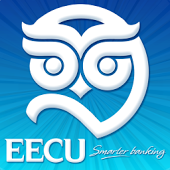 Unlike banks, each person who opens an account with the EECU becomes a full share member in the non-profit credit union. Members can even attend and vote in annual share meetings. Those who do join this credit union find that there are many benefits. EECU Fresno offers membership services to anyone with a position in the field of education. This includes teachers, professors, school employees, and students. Members can open a checking account for as little a $5 and a savings account for $10. EECU’s primary services are checking and savings accounts for their members. The very low initial deposit minimums make it possible for everyone from student to professor to have a checking account. Plus, there are no monthly membership fees, and members get free check printing. Checking accounts also include free photocopies, check-by-mail envelopes, and free notary service. Members over 62 years of age are eligible for the Golden Owl Visa credit card with lower interest rates. Visa Classic, Golden Owl, and Student/Starter credit cards are all options for members. Members of EECU Fresno can also apply for various types of insurance. This benefit is particularly good when members consider the low rates compared to other nationwide companies. Life insurance, disability insurance, car and home insurance are all available for eligible members. EECU Fresno’s Credit Life and Disability insurance is intended to help pay off member debts in the event of death or major disability. As a modern institution, EECU Fresno has a strong online presence. Members can get monthly eStatements sent to their email accounts. An online EECU account allows members to check their balances at any time, pay and receive bills electronically, and use mobile banking. Included with online services is FinanceWorks, a powerful finance and budgeting program that ties into member accounts for up-to-the-minute information. EECU provides members with a chance to earn cash back rewards on some purchases with the Purchase Rewards program. However, members must log in to the Purchase Rewards site and click on the cash back offers they want to use before making a purchase. Additionally, only purchases made with the EECU debit card are eligible. EECU Fresno is just one of several branches of the Educational Employees Credit Union throughout California. Those living in any of the ten member counties may apply for membership with EECU Fresno, even students. The credit union offers a wide range of services not available at most banks. Members can open checking and savings accounts, in addition to buying insurance or getting a car loan.